I had a bike. A really, really, really old bike. Like embarrassingly old! Like junior high old…. In my defense it was a pretty sweet Schwinn, they even gave me a whole $25 for it as a trade in. The same amount as an old, old, old Burley bike trailer that we got for free at a garage sale and was falling apart, actually, EPICALLY falling apart. 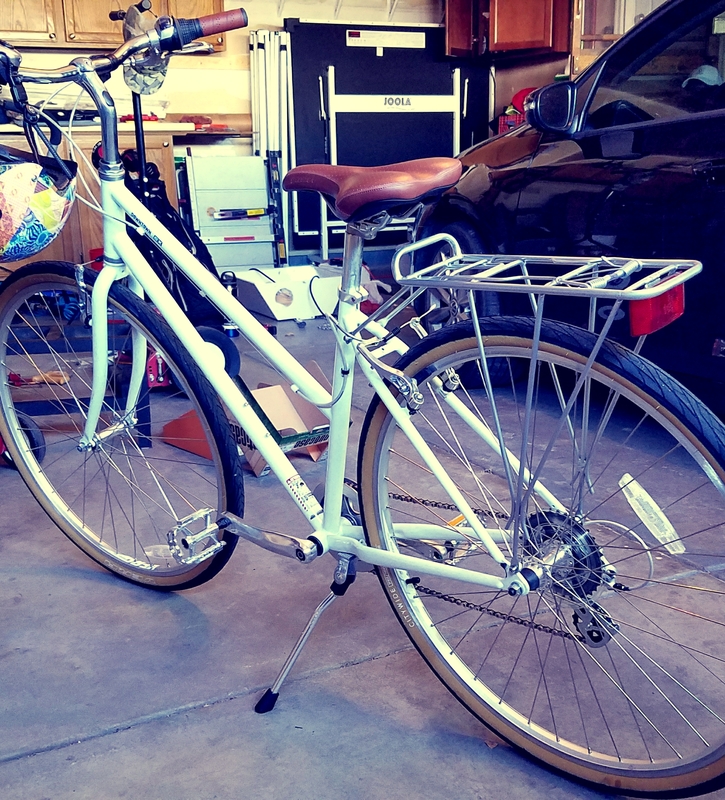 My husband loves to ride his bike and my old mountain bike was just not cutting it so it was time to upgrade. He has an awesome road bike and hauls around town so my only demand was that new bike allow me to keep up but also that he slow down, I want to relax and enjoy the ride, not race one another!!! I knew I wanted something fun that I would be excited to ride, a little bit vintage and functional. On sale is always a plus too!!! This beautiful little bike fit the bill perfectly. It’s fun, functional, quick and comfortable. I know people always say “it’s like riding a bike” you never forget, but man was I nervous! All those people watching me (or so I thought…) but it was the exact opposite, I hopped on and was on my way. With my husband and daughter – dealing with intense separation anxiety, sorry kiddo! – watching me ride off into the sunset, or rather the blazing hot sun in the store parking lot. I absolutely fell in love!!! I used to ride my bike everywhere, I was the last to get my license of all my friends and took full advantage of the freedom I was allowed at the time. But I never thought I’d be excited to ride again and yet, it happened! 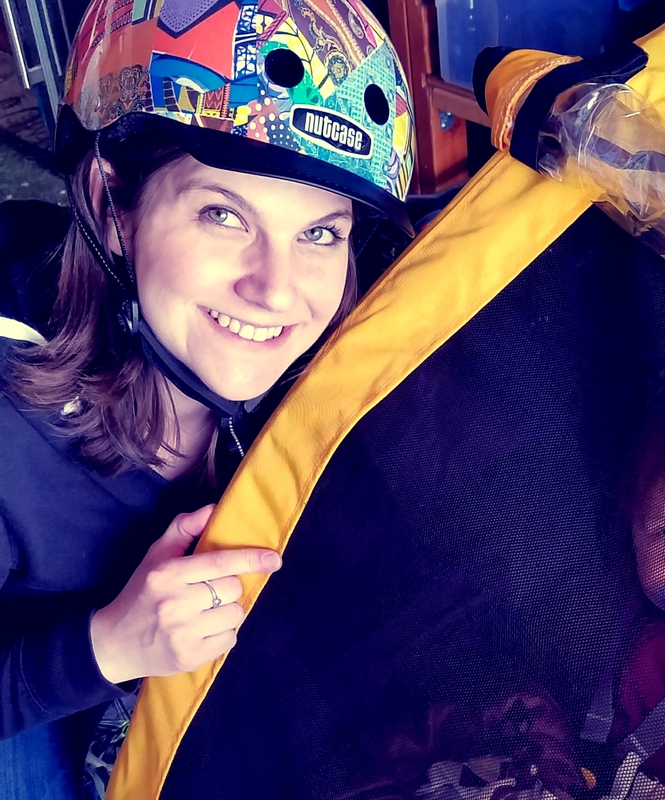 When we got home I could not wait to ride around again, we put the tot down for a nap, my husband adjusted my seat and I was off for a test ride. 15 minutes later I returned haha! I’m so happy to report that I’m still excited about my new bike and now that we’ve officially replaced the old tattered Burley with a new spangled Burley Bee, I can’t wait for all the adventures to come. The tot loves her new ride, I’m in love with mine. But most importantly, my husband is excited we can all enjoy his hobby together. 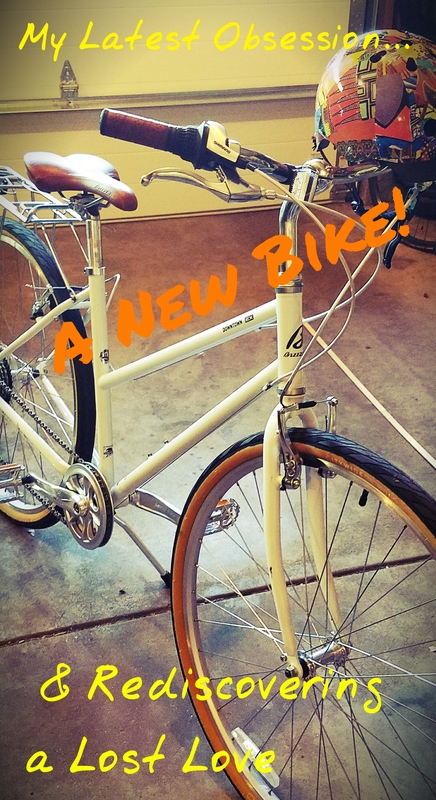 So long story short…if you were like me and you’ve thought for years and years about getting a new bike – just do it! 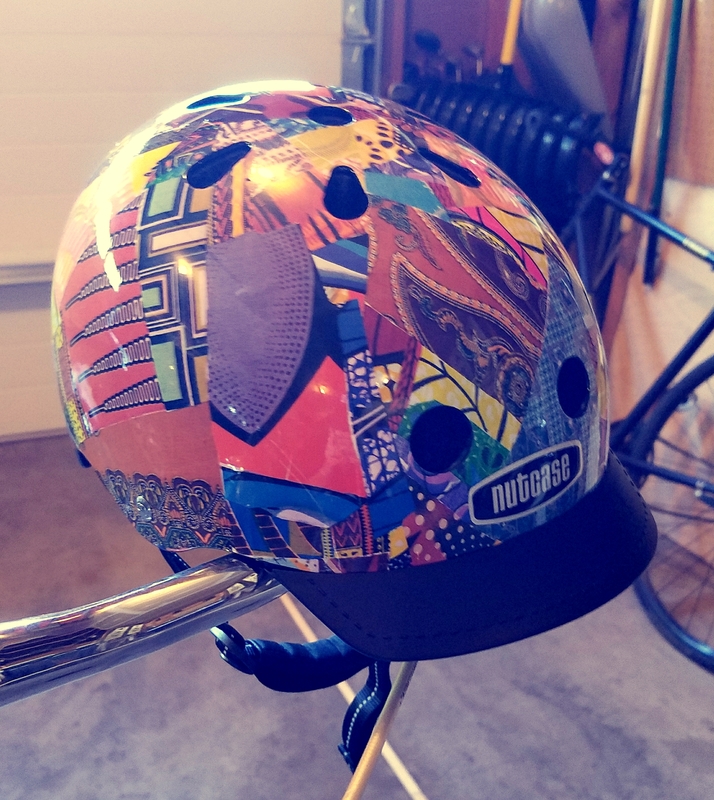 And don’t worry about looking silly in your helmet, they’ve come a long way since I was in junior high…. Hope to see you in the bike lane friends!!! Cheap Entertainment for a Toddler; BEANS!! !